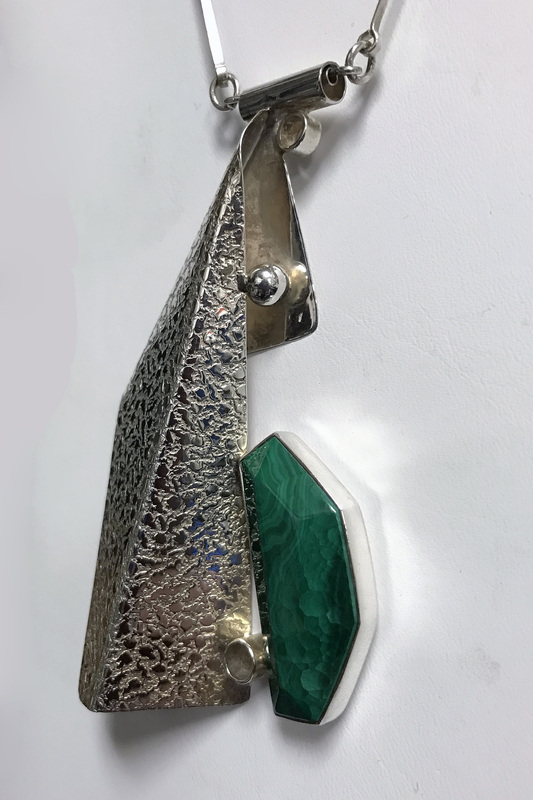 Textured Jewelry - This is a handmade sterling silver bold statement pendant that beautifully frames a freeform green Malachite cabochon gemstone. 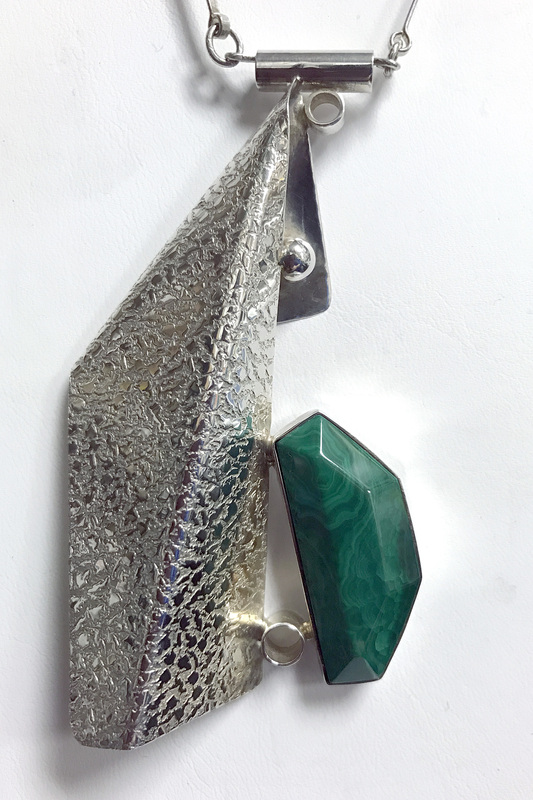 This One-of-a-Kind necklace comes with a 24" sterling silver adjustable chain. One-of-a-Kind Necklace. 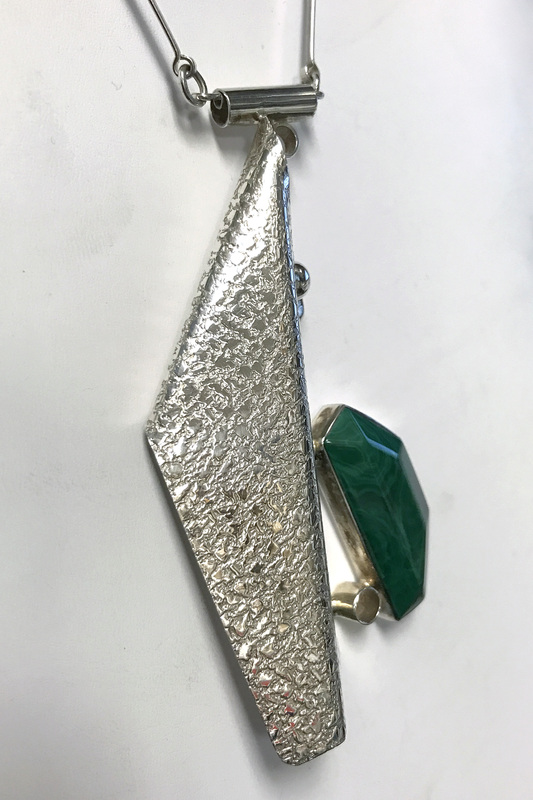 This is a handmade Sterling Silver pendant created from textured silver and silver tubing. 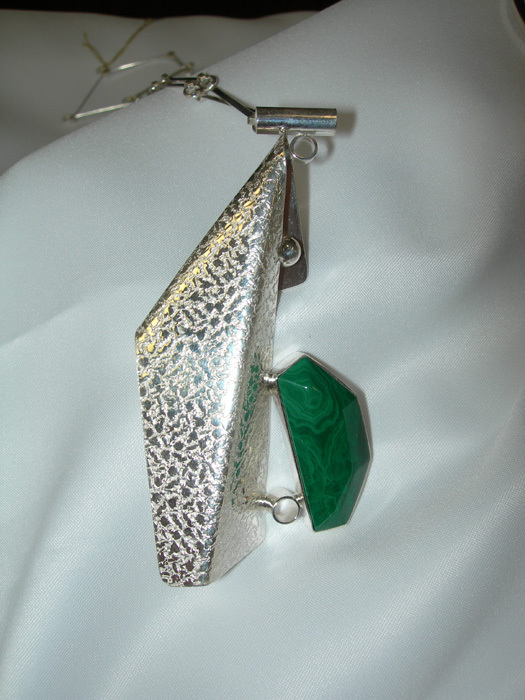 This modern design is accented by a freeform malachite cabochon. This pendant comes with a 24" handmade adjustable sterling silver chain. 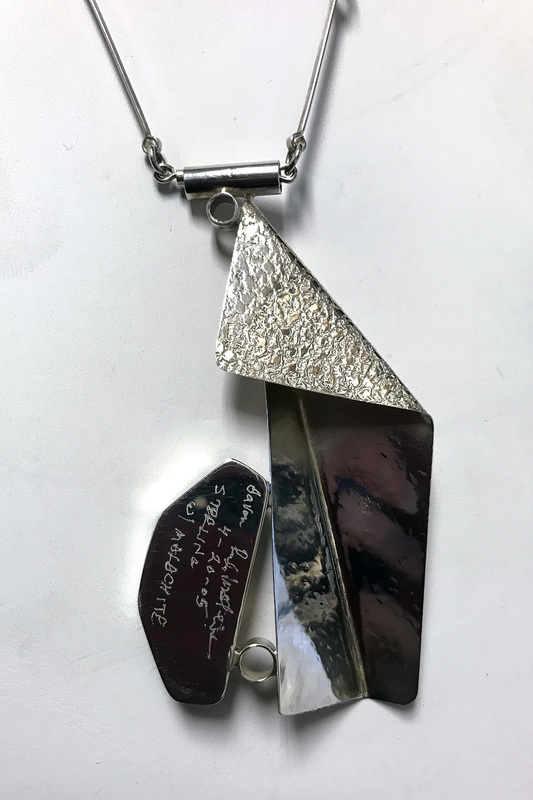 This necklace is signed and created by Aaron Rubinstein and Modern Art Jewelry.